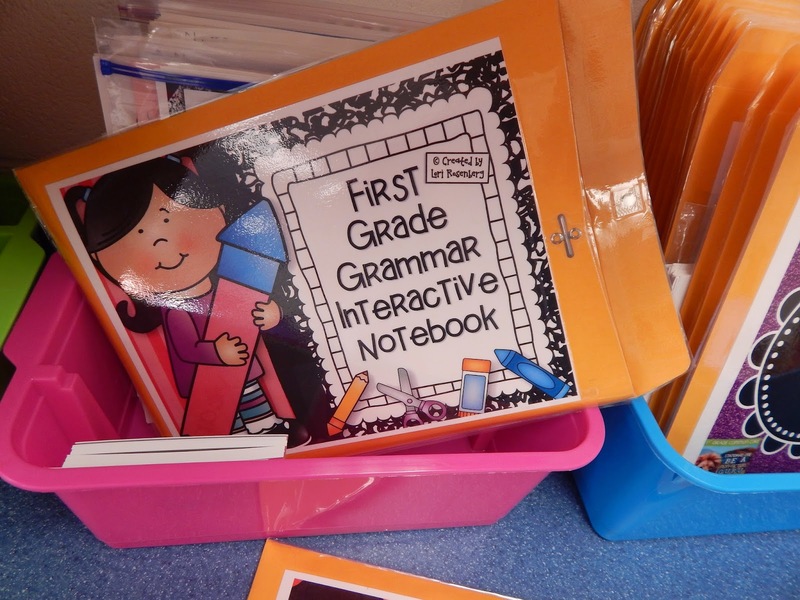 Welcome to PART 2 of Word Study in First Grade. You will recognize this next image. 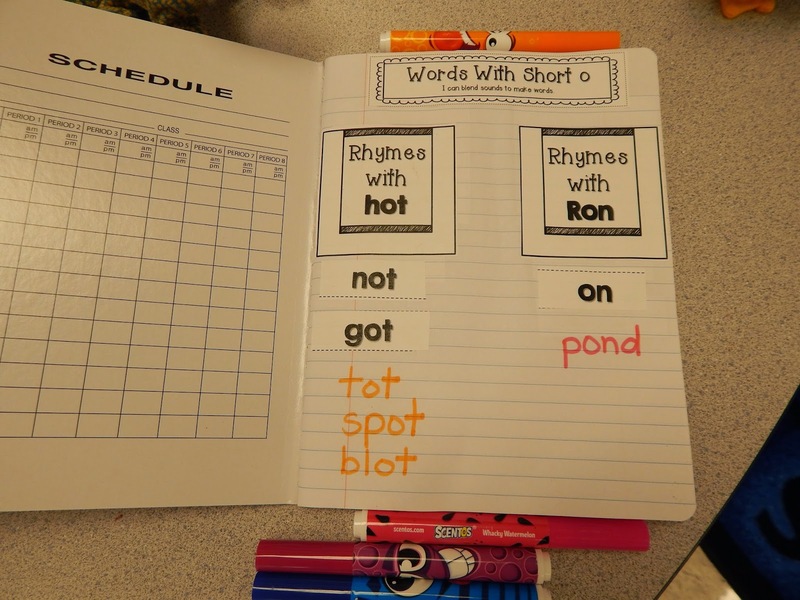 It is year's worth of spelling words broken down into weekly lists. Our first grade district team created this list in hopes of being on the same page with the new CCSS alignment. 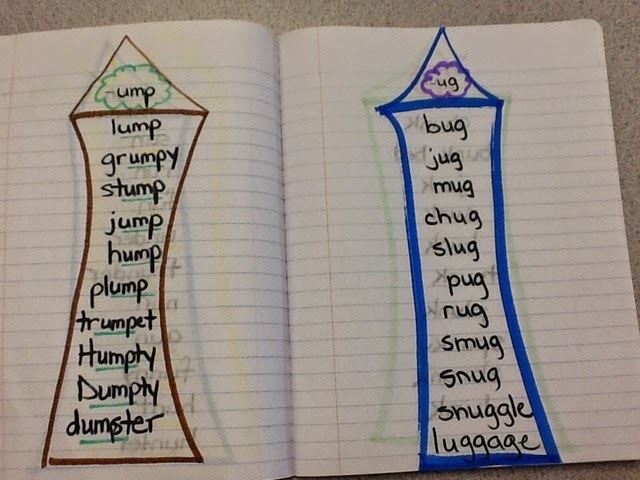 We have two lists of words. 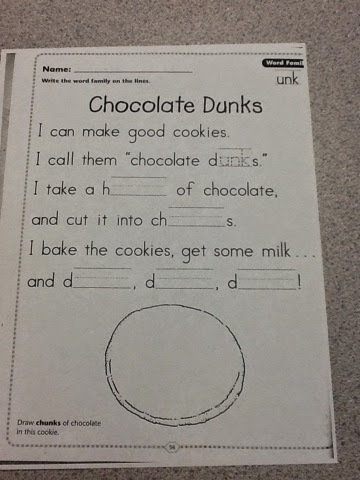 List A and List B. 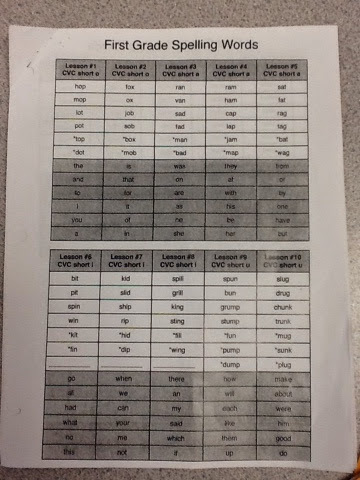 List B is for Challenge Words if a student passes the pretest on Monday and needs a modified list to practice. 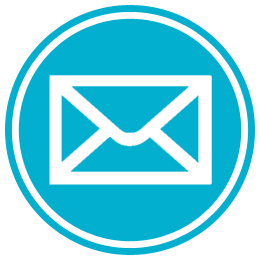 Click here for List B. 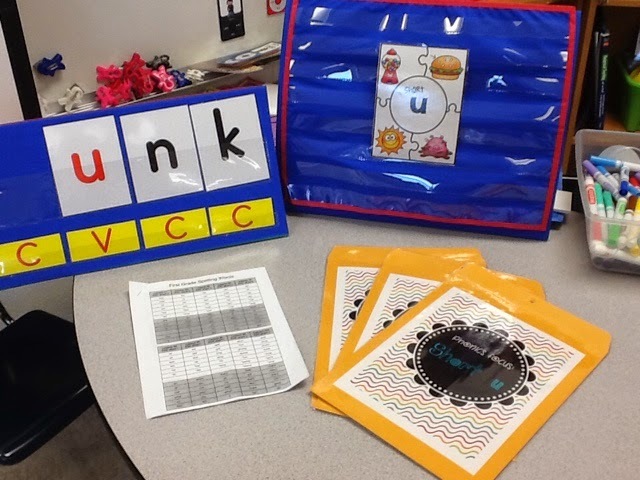 For this post, I will share Week #10 and how we incorporated (ug) and (unk) into our Phonics learning for the week. 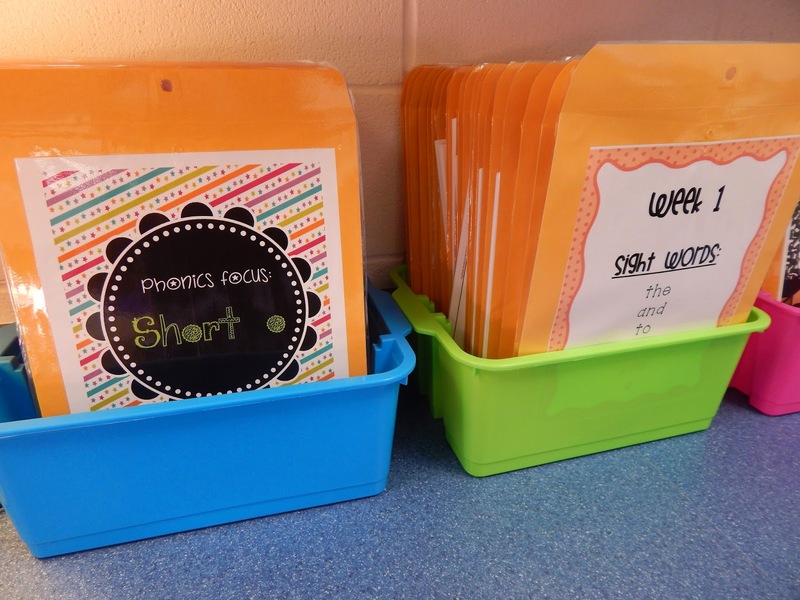 Here is my planning tubs for the year. 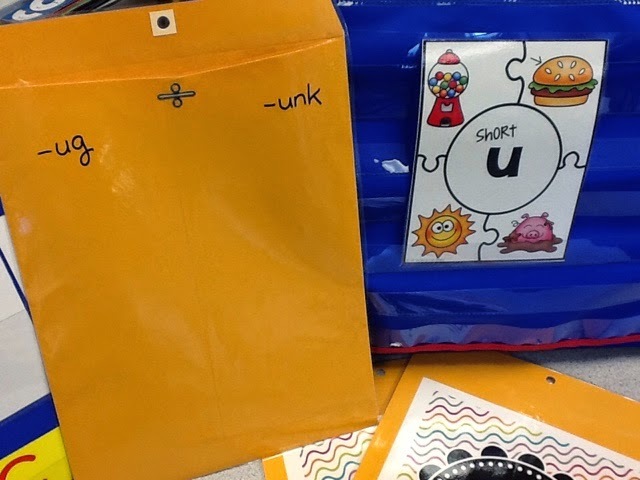 Everything I need for a week's worth of phonics planning is inside of each envelope! Easy-Peasy! 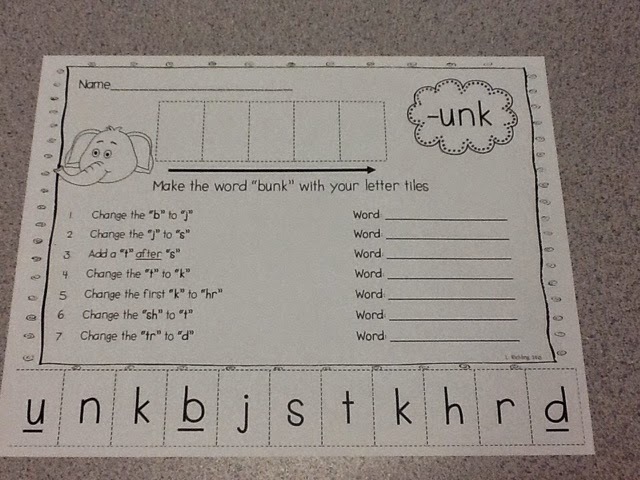 Click here to download my weekly phonics headers for the envelopes. 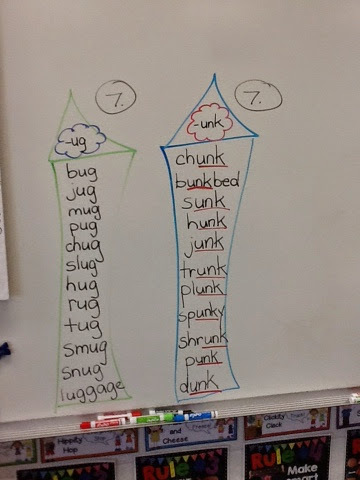 If we have a 5-day week, we introduce TWO word families. 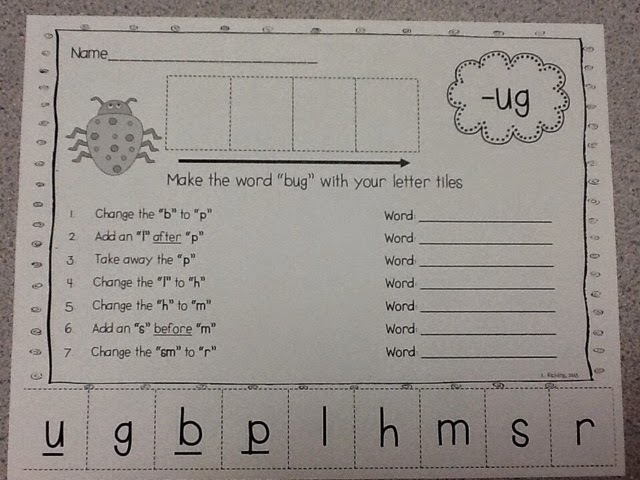 For example, Monday we do this (ug) Making Words activity. and this (ug) Word Family Warm Up. 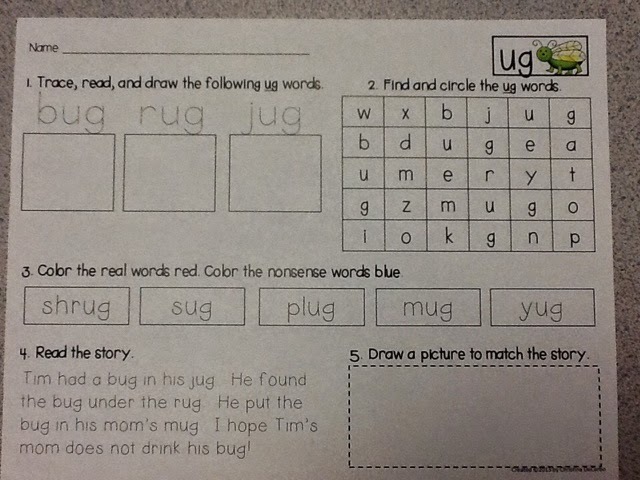 Wednesday morning work, the kiddos highlight the ug words and practice reading. 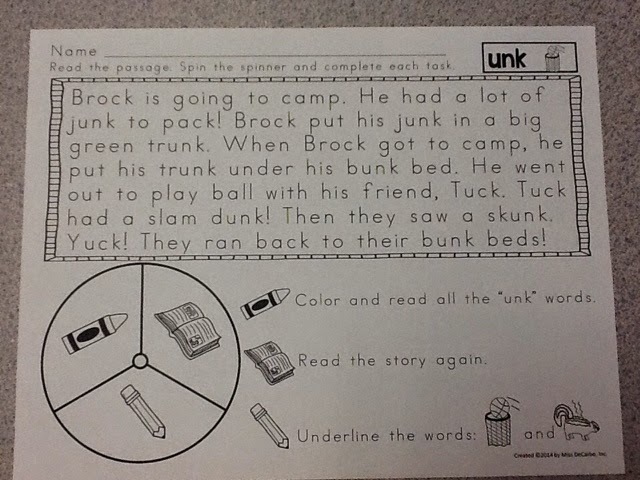 (Introduce the next word family) and complete the (unk) Making Words Activity. 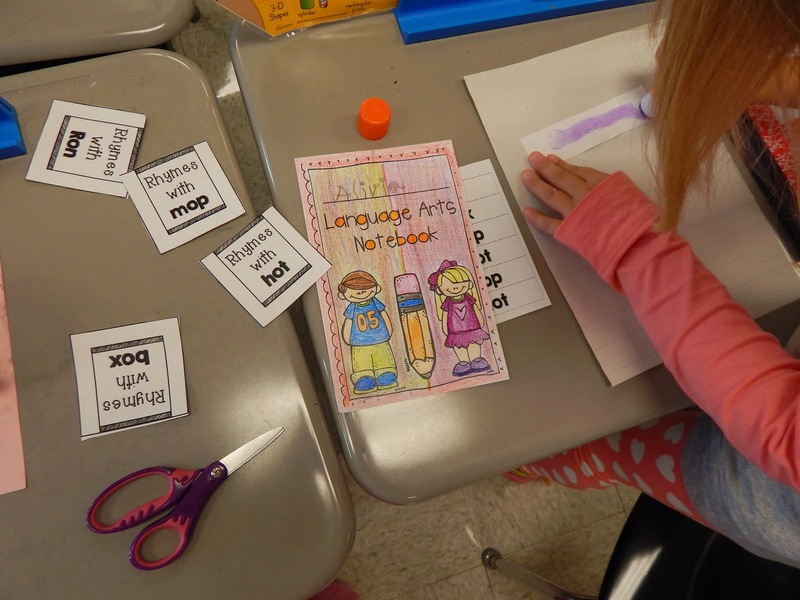 to read later at our Fluency Share Circles. 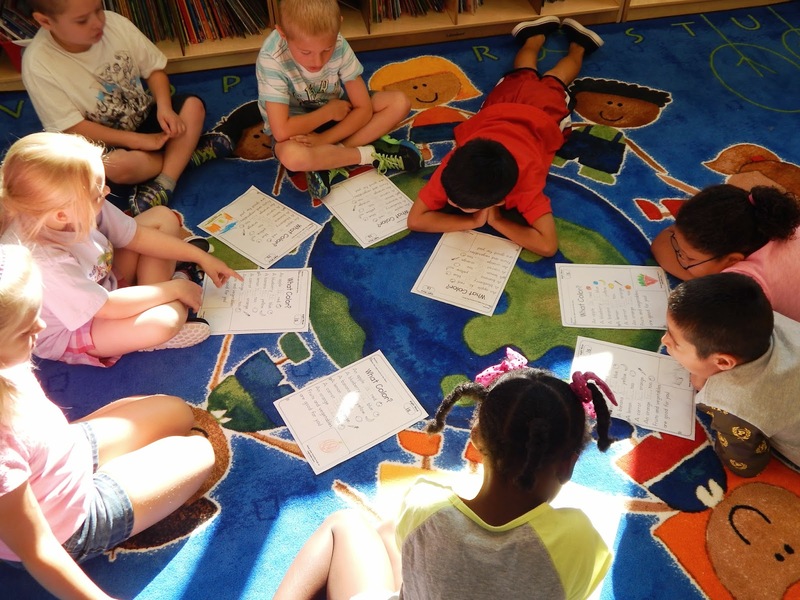 Read aloud then with a Partner- Fluency Spinner Passage. 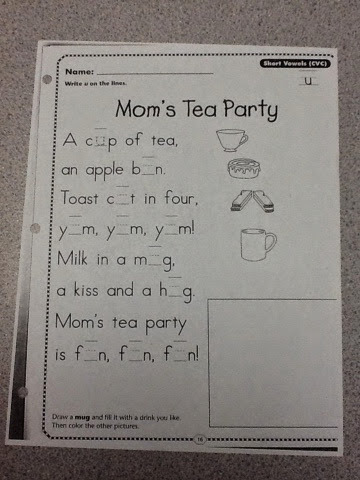 Students fill in the poem to have ready for later. 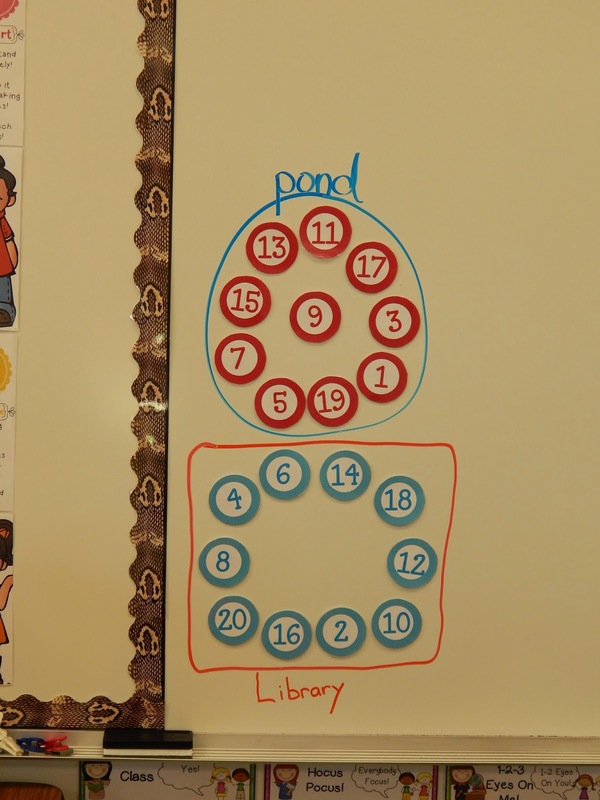 What does our Fluency Share Circles look like? 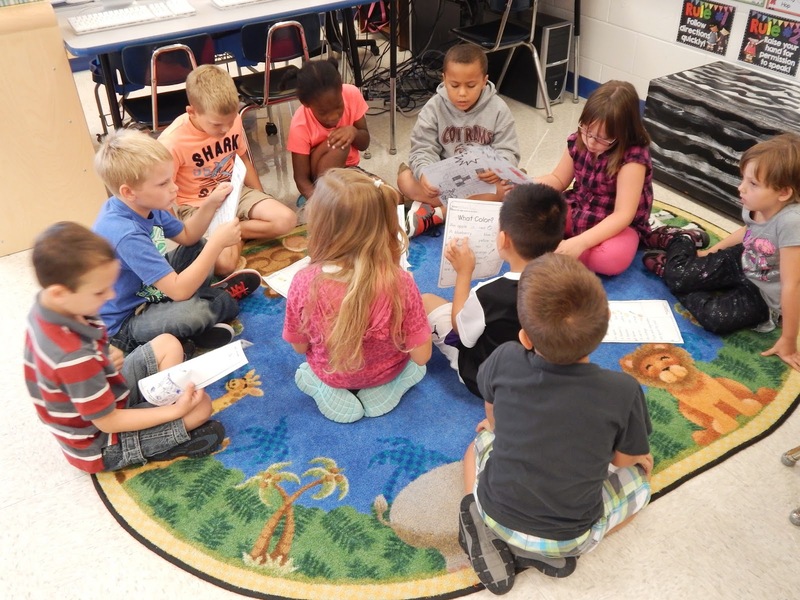 Then they take their poem of the day and practice reading together as a team. They get 3-4 practice rounds. Then, the team leader will raise his/her hand to signal me that they are ready to "Rock their Fluency!" 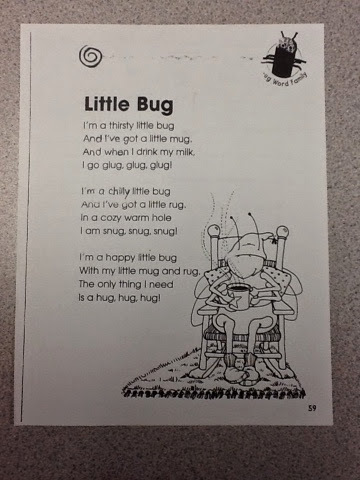 The team with the best Fluency WINS scratch & sniff stickers on the poetry page. 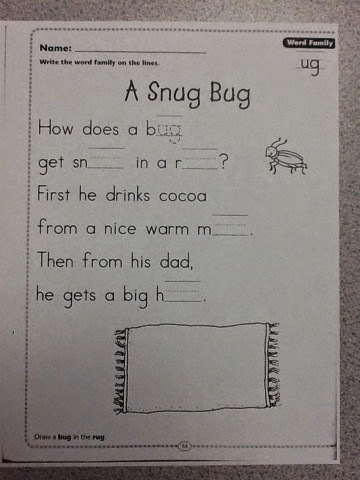 I also make sure to get the kids pumped to take the poem home and practice again with the family. 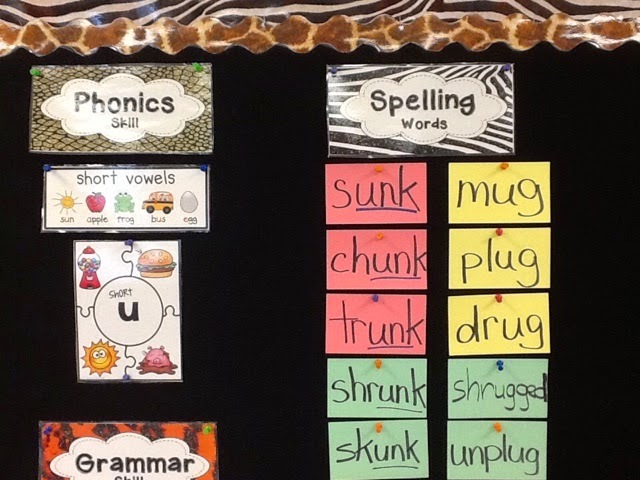 After our pre-test on Monday, we hang our Spelling words up on our Focus Wall for the week. 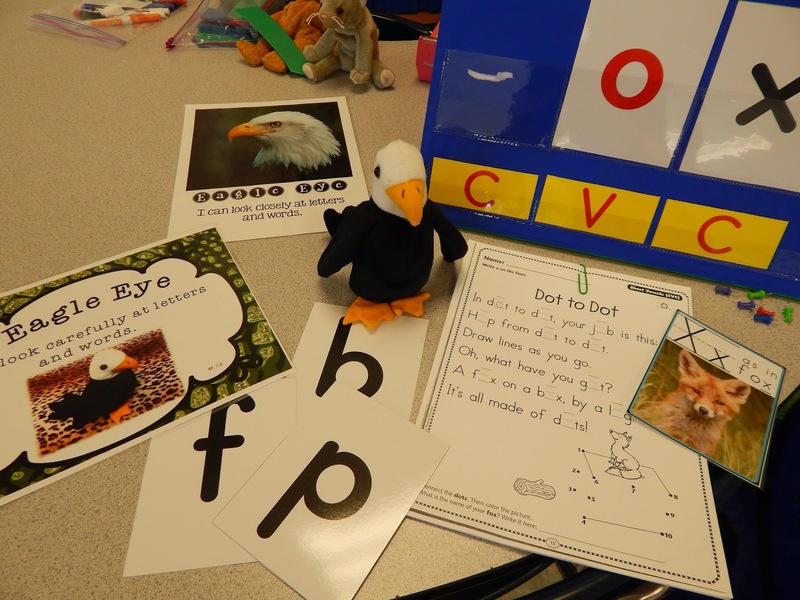 Our special Phonics Beanie Critters from our Critter CAFE will show up and practice with us too! 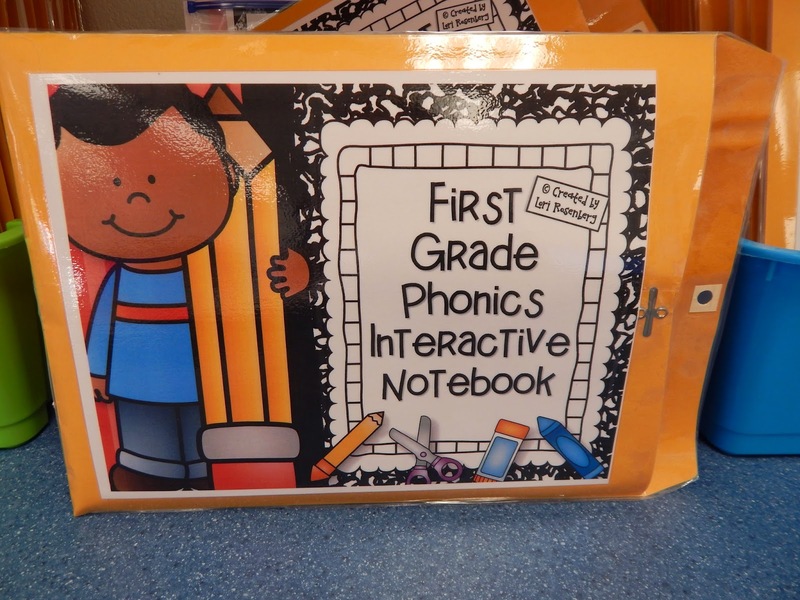 On Fridays, we use our Interactive Phonics Notebooks to record our Phonics learning for the week. 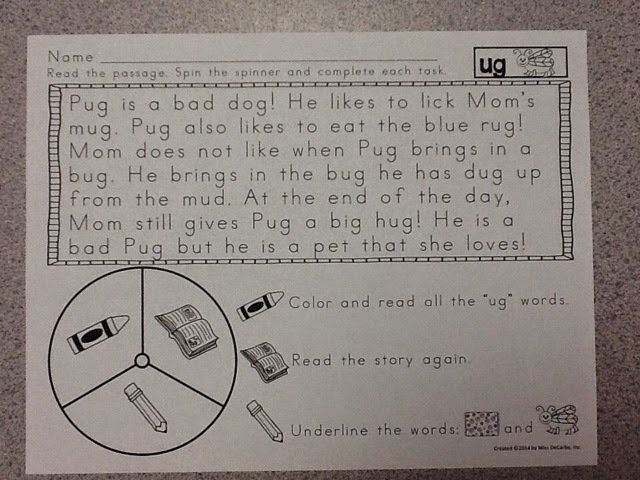 This is a great review before our spelling test. I bought the bundle and these are fantastic! 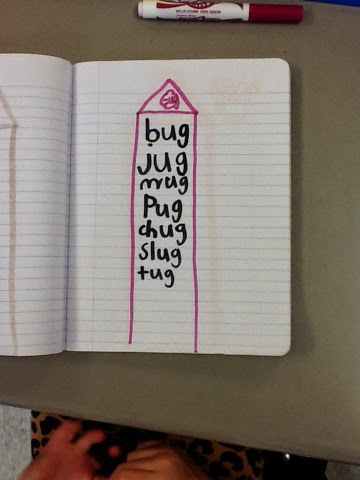 Throughout the week, we make these word family "houses"
and on Friday, we add them to our Notebooks too! 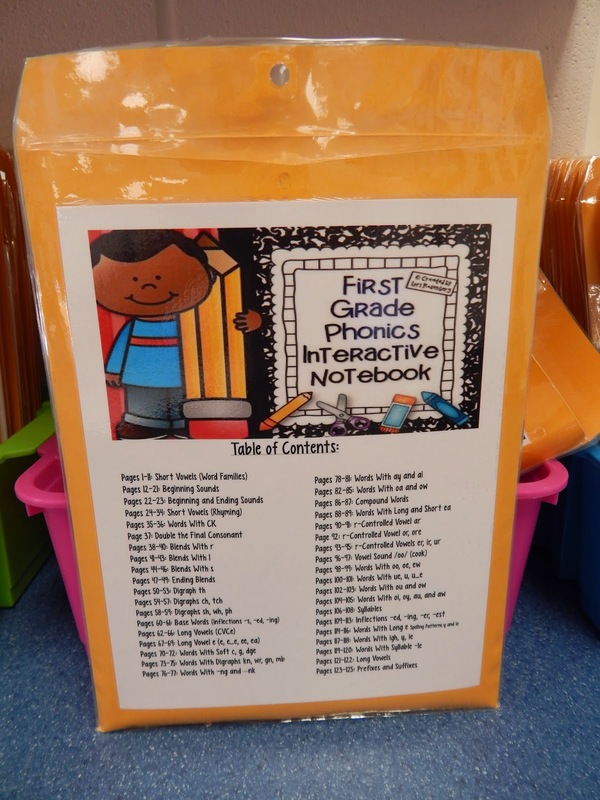 Now I bet you are wondering WHERE all these FAB products and activities came from! 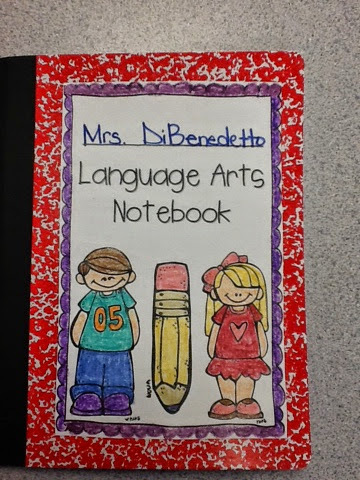 I have added a special page to my weekly lesson plans. 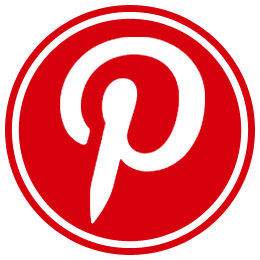 Download here and you will be able to view all the AMAZING products mentioned here today! 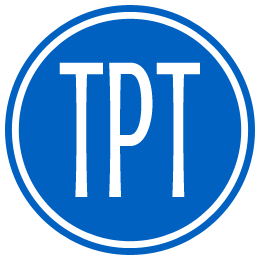 Just click on any image and it will take you to their TPT site! I sure hope you enjoyed stopping by today! I am excited to share my week with you and I hope you were able to take away a good idea or two! Wow, my socks fell off again. Thank you for showing me what you do! 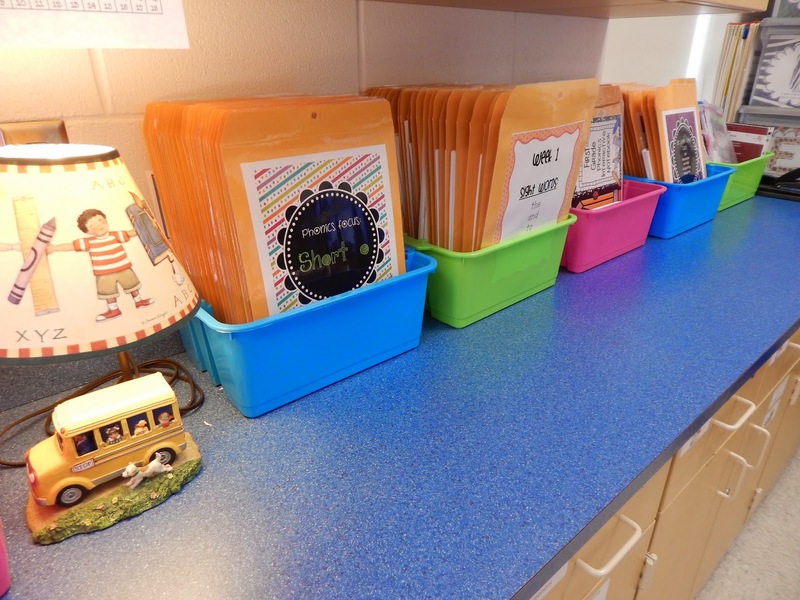 I love your classroom and all the ways that you teach your firsties. Have a great day! This is such a great post! 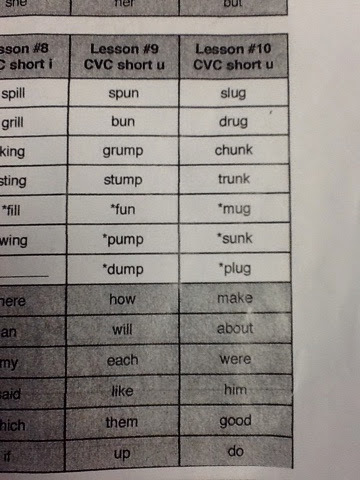 Do you have a link for your spelling words version A? There isn't a link for them. Once again, your website is awesome!